This part of the CloudForms in AWS blog series will walk you through how to make sure that CloudForms reaches its full potential in AWS. 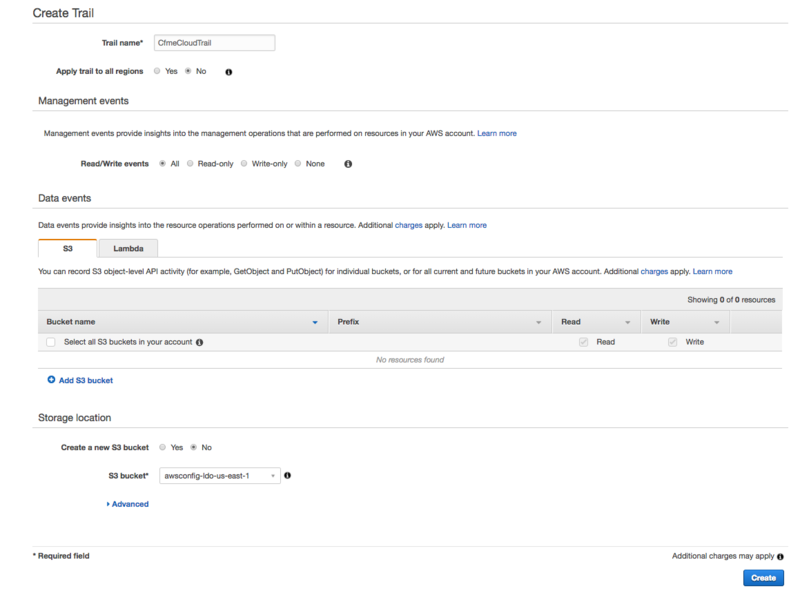 Before we configure CloudForms we need go to the AWS console and create the SNS topic for AWSConfig so that CloudForms can subscribe to messages. SNS stands for simple notification service. It enables CloudForms to subscribe to a topic which contains information about configuration change of AWS resources. Next, create an AWS S3 bucket to store logs of AWS Config and CloudTrail (api logs). 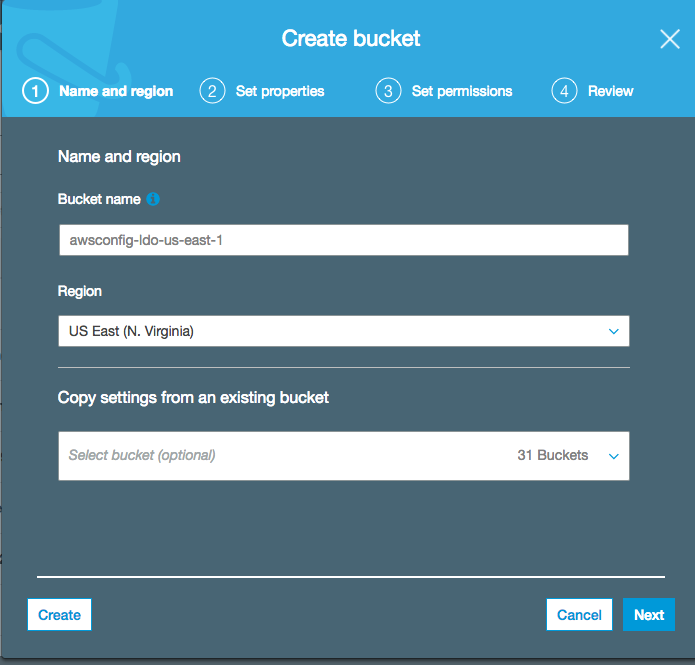 Enable AWS Config and make sure to choose the created S3 bucket as well as the SNS topic we created above. To get events via CloudWatch and CloudTrail we will need to configure a new trail in CloudTrail. In CloudTrail create a new Trail with the following information. As you can see we can also reuse the previously created S3 bucket to store the logs. 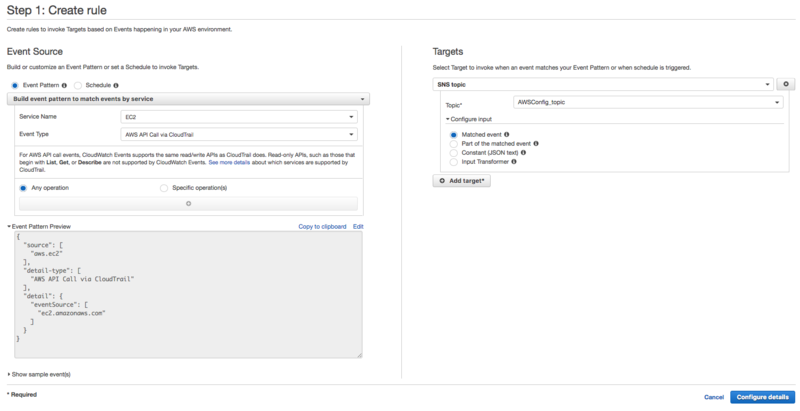 The last step to get events properly delivered through SNS is to create a new CloudWatch event rule. 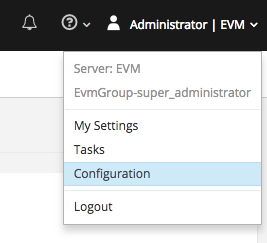 Next and this is kind of optional if you assigned CloudForms to an Admin Role. If CloudForms is in the power user policy you have to perform this actions as Power User does not have access to IAM! The new smart state analysis in CloudForms is supposed to create the correct roles, policies and instance profiles for you. I prefer to create the policy myself for two main reasons. I prefer to create the policy myself for two main reasons. We now create a custom policy which we will assign to the smartstate role. 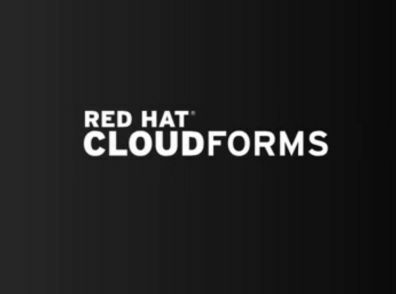 Finally, you can now login to CloudForms. This is the user CloudForms will login with when it will initiate a smartstate analysis. Finally let’s add the aws provider. You should be familiar with what access and secret keys you need to add. Important, CloudForms will need at least poweruser access. Next hit validate on save. Don’t bother filling out the “SmartState Docker” tab as it doesn’t do anything if you fill it out at the same time. Once saved go edit the provider again. Now go to the SmartState Docker tab. I am wondering who named these fields and the comment below. Would have been better to say “Use registry.access.redhat.com credentials or RHN credentials required to perform ….“. What you need is your RHN credentials. These are needed so that you can pull the smartstate image from the redhat docker registry. Hit save and your done. 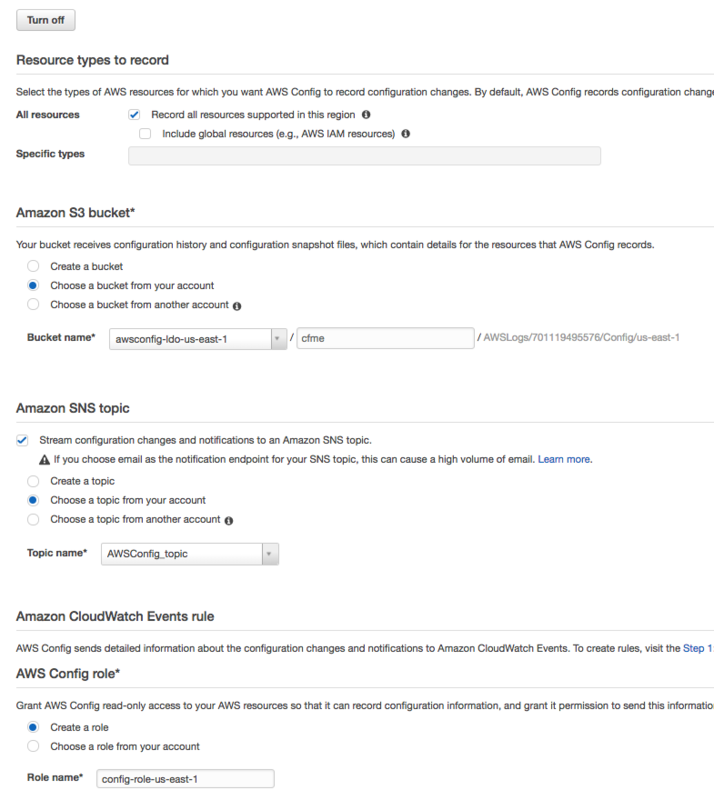 You have now configured everything to perform a smartstate analysis in AWS. The next post is going to be for the geeks under us. It will explain what is going on under the hood when smart state happens.